Madame Tussauds is the world’s most renowned wax museum. Its headquarters is in London, while many smaller museums have been opened in major cities. The Madame Tussauds collection of wax figures is the largest in the world and includes hundreds of intricately crafted life-size figures that are often indistinguishable from the people they portray. Nowadays, visitors can take photos next to historical figures such as George Washington and Napoleon, famous celebrities like Lady Gaga, Ryan Gosling, and Nicki Minaj, and even fictional characters like C-3PO, Superman, and Captain America. The museum has been open to the public since 1835. 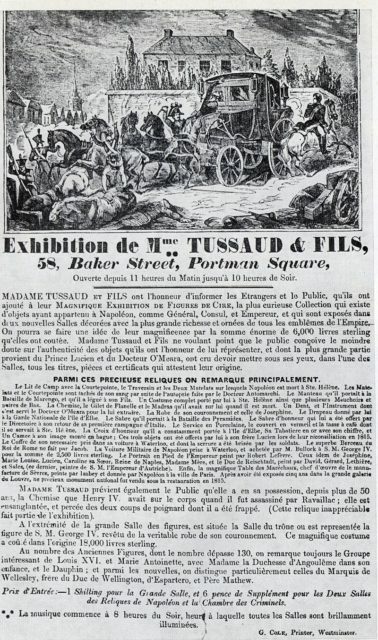 At that time, Marie Tussaud, the original Madame Tussaud, settled in Baker Street in London, and decided to show her wax creations to the public. The most popular attraction of the original museum was the Chamber of Horrors, which included wax figures of famous historical murderers. 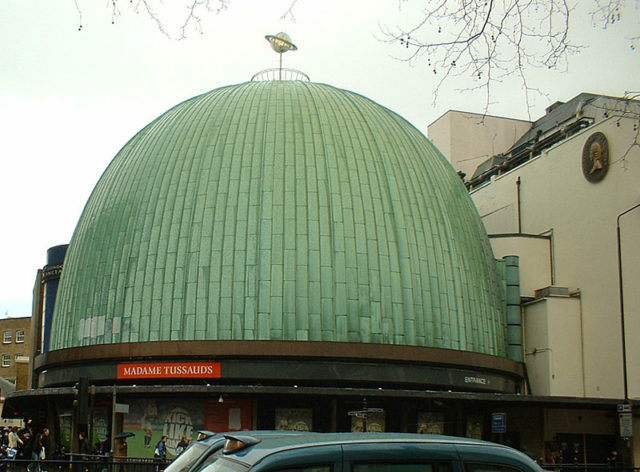 Although the contemporary Madame Tussauds is dominated by figures made by hired artists, some of her original creations can be seen in London. These include Robespierre, George III, and her self-portrait. Madame Tussaud at the age of 42. 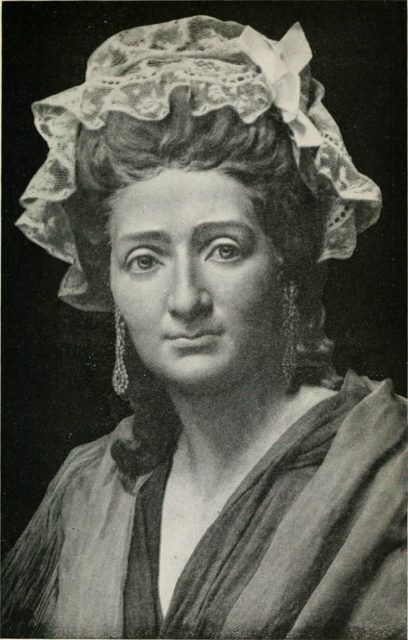 Marie Tussaud was born in France in 1761. She learned the art of crafting wax figures from a Swiss doctor named Phillippe Curtius, for whom her mother worked as a housekeeper. She created her first wax figure, that of Voltaire, in 1777, at the age of 16. In the 1780s, many prominent members of the French aristocracy marveled at her creations and she acquired the status of an esteemed artist. She was even employed by Princess Elizabeth of France, the sister of King Louis XVI, to teach her the art of sculpting. 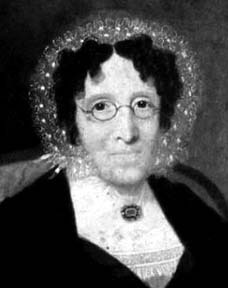 She became Elizabeth’s counselor and a confidant. However, Marie Tussaud’s royal connections almost resulted in her death during the tumultuous period of the French Revolution. On July 12th of 1789, two days before the attack on the Bastille officially kick-started the revolution, several wax figures representing aristocrats and members of the royal family, made by Tussaud’s teacher, Dr. Philippe Curtius, were beheaded and their heads were carried through Paris during the protests against the monarchy. But the revolutionaries were aware that Marie Tussaud, his protegee, was employed by the royal family. She was accused of being a royalist and thrown into a dungeon. Her head was shaved, and she was prepared for execution by guillotine. Fortunately, only a few days before she was supposed to be executed, Dr. Curtius learned that Marie Tussaud had been imprisoned. He quickly assured the revolutionaries that she was, in fact, a supporter of liberal ideas (which was true) and showed them her intricate wax figures. Tussaud was not only released but also employed by the new regime to make wax death masks of aristocrats and wealthy royalists executed by guillotine. Many members of the royal family, including Princess Elizabeth and King Louis XVI, were executed. Marie Tussaud made death masks of the famous victims of the revolution, including Marie Antoinette and King Louis. She stated in her memoirs that she would often rummage through the piles of severed heads, which were displayed on public squares, to find the most interesting faces and use them to make terror-inducing death masks. Many of her masks were paraded in the streets of Paris to symbolize the fall of the old royal regime. Marie Tussaud lived in Paris until the early 1800s. 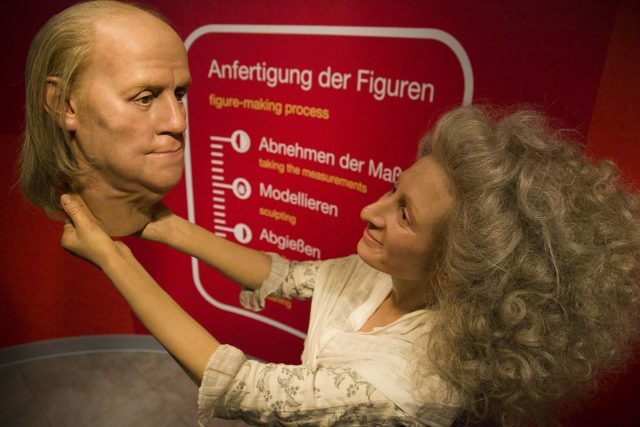 At that time, she started traveling across Europe to showcase her famous wax figures. She finally moved to London in 1822 and settled in Baker Street with her two sons. 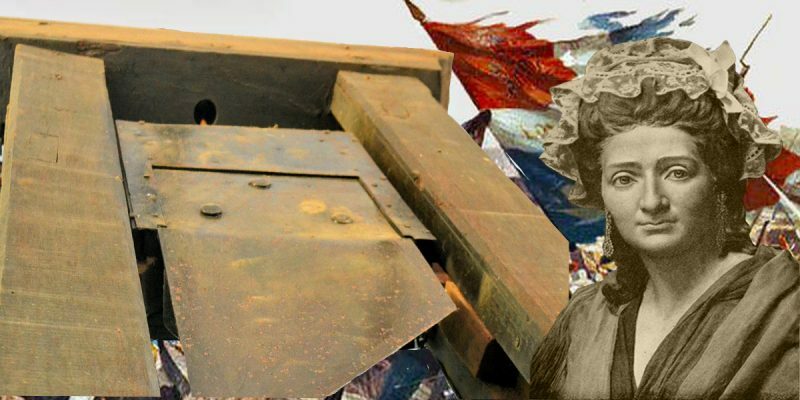 Nowadays, many people across the world marvel at her meticulous creations, but not many are aware of her turbulent life and her involvement in the French Revolution.